In a few days, we’re once again sending the kids to the grandparents and embarking on a decluttering weekend. If you’re a regular here, you know we like to do this 3-4 times a year. Along with giving our little ones quality bonding time with some of their favorite people, it gives the hubs and I the chance to tackle a few projects on our to-do list. I haven’t finalized the list of all I hope to accomplish yet, but I know for sure a new system for dealing with our ever-growing paper piles is priority number one. So lately I’ve been doing a little research on how to address the problem. And, seeing as how the start of a new school year often brings an onslaught of paper piles to homes everywhere, I thought you might appreciate it if I shared my findings. Here are my 15 favorite resources for organizing your paper life. The idea of a home management binder is nothing new, a quick pinterest search of the term will yield lots of examples, but there are a few that stand out from the pack. Below are some of the best posts I’ve found on how to set up a system that will work best for you. Using a Home Management Notebook – the Ultimate Guide – For the complete newbie, this is Home Management Binder Making 101. Just as the title promises, it’s a comprehensive look at what these systems are and how to set one up. Family Binder via My Sweetnest– Not only is this tutorial nice to look at (you know how I’m a sucker for good photos), it’s also a great beginner project. With only 4 sections (meal planning, contact info., kids, and important dates), you could easily throw this together the next time you have a few spare minutes on your hands. The Home Management Binder via A Bowl Full of Lemons – This is a more in-depth binder setup for those of you ready to really jump in. Covered sections include calendar, schedules, cleaning, meal planning, finances, to do, school, medical, contacts, and even blogging. These go a step beyond your basic binder. Simple Mom has two different approaches on this idea. The first is a paired down Home Management Notebook. The second is a suped-up File Crate System to cover the whole year. Both are wonderful. Kitchen Comand Center via The Organized Parent– This system incorporates files for each family member and a binder to keep everything that comes in and goes out organized in one spot. 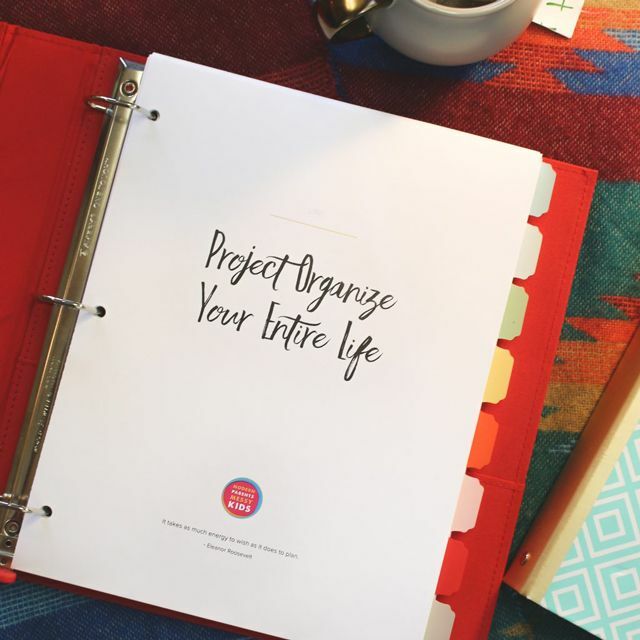 Organization Binders via Simple Dimples – This is one of my favorite tutorials because it really is deserving of the title of system, yet still doesn’t seem overwhelming. 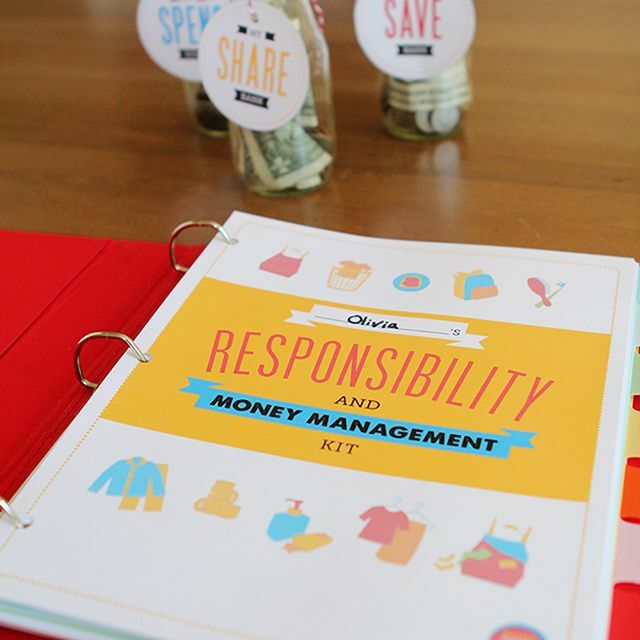 With an incoming paper filing system, 3 organization binders (family, finances, and fun), and a long-term filing system, this mom has all her bases covered. Great set-ups for keeping track of everything that comes through the door each day. Family In-Box via Martha Stewart– I love both the simplicity and the look of this setup. Mailing Station via I Heart Organzing – Of course, my pal Jen has thought of everything here. Not only are there spots for everyone’s incoming mail, there’s also a home for things that need to be filed away later. Kids’ Study Box via I Heart Organizing – These boxes do a great job of organizing kids’ papers in terms of what needs to be dealt with now and what needs to be kept for reference. Long Term School Work Storage via I Heart Organizing– A smart and manageable system for holding onto your kids’ most memorable works from each school year. Finally, here are 4 sites for finding a bevy of free downloads to help you organize to your heart’s content. That’s what I have for you, what have you got for me? Any sources you love that I left out? How about a system that’s been working wonders for your family? Let me know what you’ve tried, and what you plan to try, in the comments below.